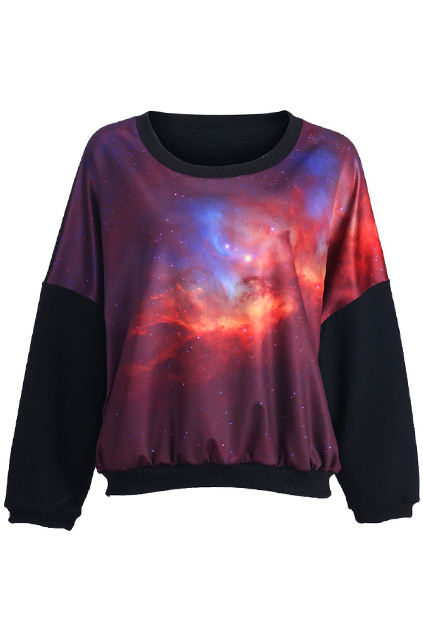 Loose top, featuring basic style with universe print on the front and on half the sleeves, black color on the back, the round collar and the sleeves. 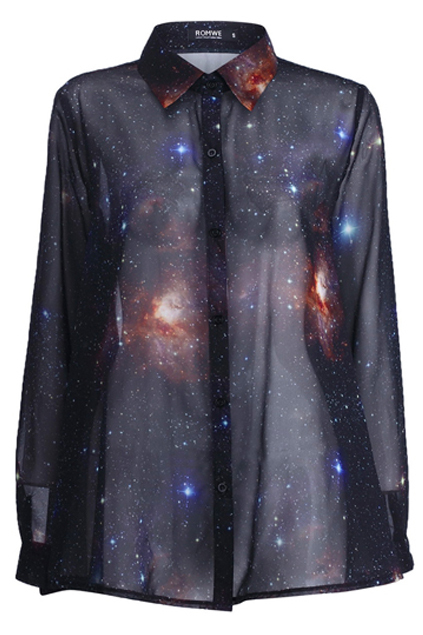 Loose shirt, featuring universe print on whole, lapel collar, long sleeves, in skirt-like hem, button fastening through the front and button closure to the cuffs. 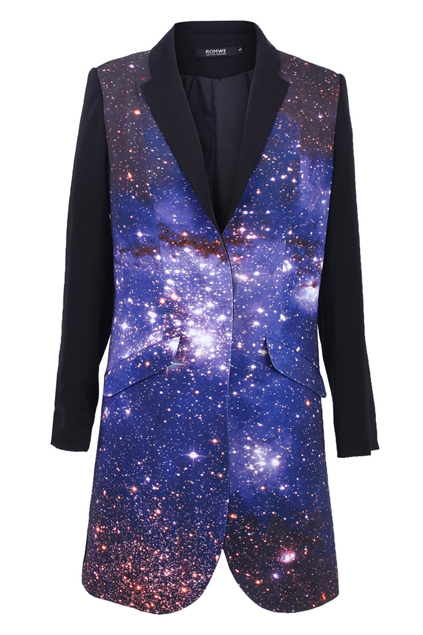 Long overcoat, featuring universe print on the front, one covered button on the front middle, black back and black sleeves, a wide cut lapel, two fake flip pockets to the hips, been cut with a longline style and a tailored fit. 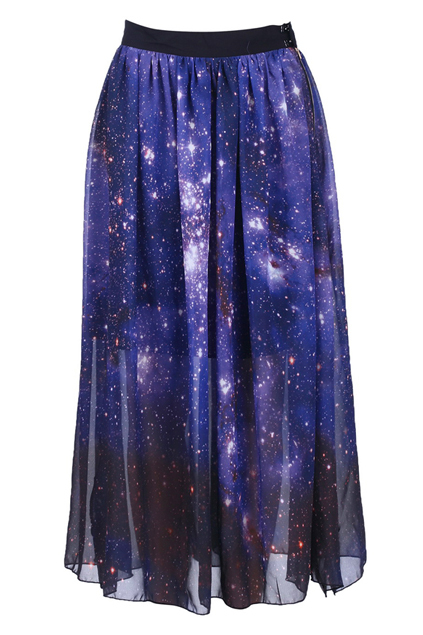 Purple skirt featuring galaxy print design, a zip with concealed clasp fastening side and split side, lining inside. 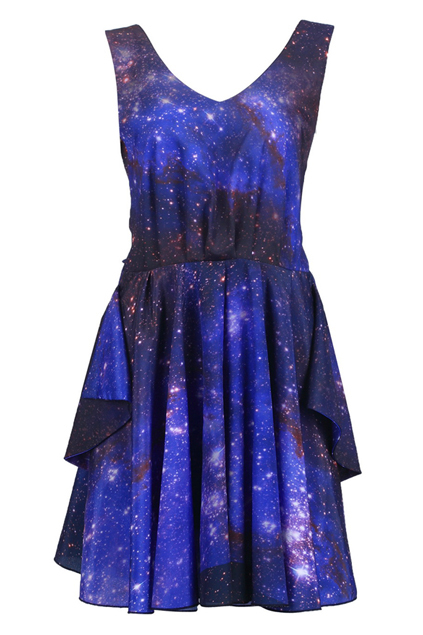 Galaxy print shift dress. Features cut-out back with wide tie-strap fastening. V neckline. Sleeveless. 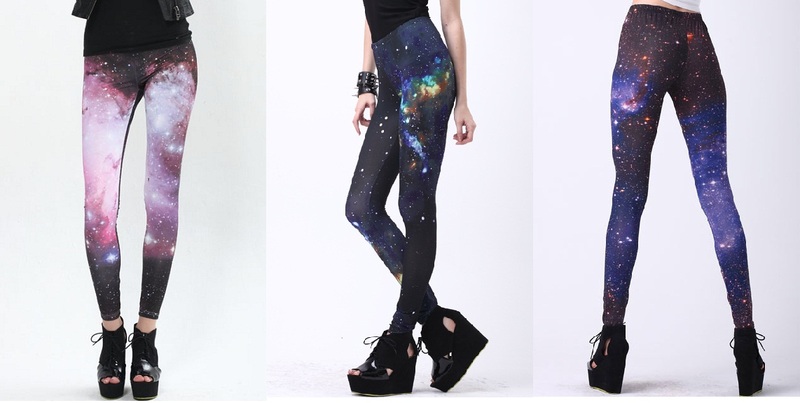 Concealed rear zipper. Lined skirt with gathered pleats.